Whether you're a small medium enterprise, or one of the big guys- every business needs protecting! From time-to-time unfortunate events occur at work that are out of your control; staff can get injured, websites may be hacked and businesses are sometimes sued. You can’t always predict a company calamity but you can be prepared for the unexpected. . Protect your corporation and get business insurance for your company today. 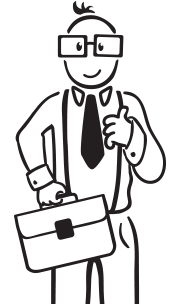 PROFESSIONAL INDEMNITY Do you provide a service giving support and advice to your customers? What would happen if that advice was inaccurate or incorrect? After all everyone’s human! Should your mistake lead to a financial loss for your customers Professional Indemnity Insurance protects you for any consequent legal action taken against you. PUBLIC LIABILITY When you’re a SME owner keeping your business a safe environment for staff, customers and suppliers is paramount. However, even in the most innocuous of working environments accidents do happen. Public Liability Insurance protects you and your business against the exorbitant legal costs you could face should somebody get injured or suffer a loss in relation to your services. MANAGEMENT LIABILITY As a senior member of the team, you’re accountable for the commercial success of the business. Safeguard your company’s financial wellbeing with cover that protects against the risks associated with running a business. Get protection for management and corporate fraud, employee crime, health & safety breaches, unfair dismissal practices and more. CYBER COVER Do you collect and store valuable customer information? Are you totally confident in your system’s security? If you think you’re safe from cyber-crime… think again! Cyber insurance protects your business from unforeseen legal costs related to hacking such as leaked customer information. You’d also be covered for costs you may incur like lost sales and data recovery. TAX AUDIT INSURANCE If only a crystal ball could tell us exactly when the taxman’s gonna come knocking! Sadly, no one can predict when a tax audit may strike, but you can be primed and ready. Tax audit insurance covers your business from unexpected accountant fees and more during audit time. PERSONAL ACCIDENT & ILLNESS No matter how much you try, you can’t turn back time. Accidents are a part of life and you can simply learn from them and try to make sure they don’t happen again. Nevertheless, how do you protect yourself financially when they do occur? Personal Accident Insurance covers your income if you have an accident, or you become ill and can no longer work. PREMISES & CONTENTS What about your businesses’ bricks and mortar? The place where you spend more than 40+ hours a week….your home away from home? Premises & contents insurance protects your place of work against loss, fire, damage, theft and extras. FIDELITY GUARANTEE INSURANCE Not every employee will work out how you'd hoped. Fidelity guarantee insures you against loss of money or business goods resulting from an act of fraud committed by a member of your staff. It's important to protect the livelihood of your enterprise. COVER FOR TRADESPEOPLE No matter whether you're a hairdresser, massage therapist, personal trainer or electrician your mobile business needs protecting. Insurance for tradespeople is important to cover you for a range of scenarios that can apply to your business such as personal accident, legal liability, tools of the trade and more! Running a business and knowing you are providing an excellent product to society can be a fulfilling experience. Even with the highest standards of service, however, there is still the risk that everything may not go as planned....Read more. What is Management Liability Insurance and Do I Need It? Being in a management position involves a lot of responsibilities and a lot of risks. Making the wrong decision or even being viewed as failing to live up to incredibly high standards of conduct can lead to allegations of mismanagement, misconduct, or even legislative breach. Dealing with an associated legal claim can be expensive and damaging to career and reputation. Management liability insurance helps to protect a firm’s directors and officers, as well as the company itself, against any claims made against the management of a company.... Read more. Mistakes happen. Professional indemnity insurance protects individual professionals, small businesses, and large companies to provide their services without fear of being sued for an error.... Read more. Running a business and knowing you are providing an excellent product to society can be a fulfilling experience. Even with the highest standards of service, however, there is still the risk that everything may not go as planned.... Read more.